​Before he was the Head Ball Coach, he was in charge of the Tampa Bay Bandits in the erstwhile USFL, wondering when his first chance at a top job in major college football would come. And in 1986, the LSU Tigers called up 41-year-old Stephen Orr Spurrier and asked him to interview for their head coaching position. You don't even have to be a devotee to know that he didn't get the gig. But as Spurrier explained to the "Off the Bench" radio show on 104.5 FM in Baton Rouge, he didn't even come close. In fact, didn't even progress to the second round of interviews with the Bayou Bengals. 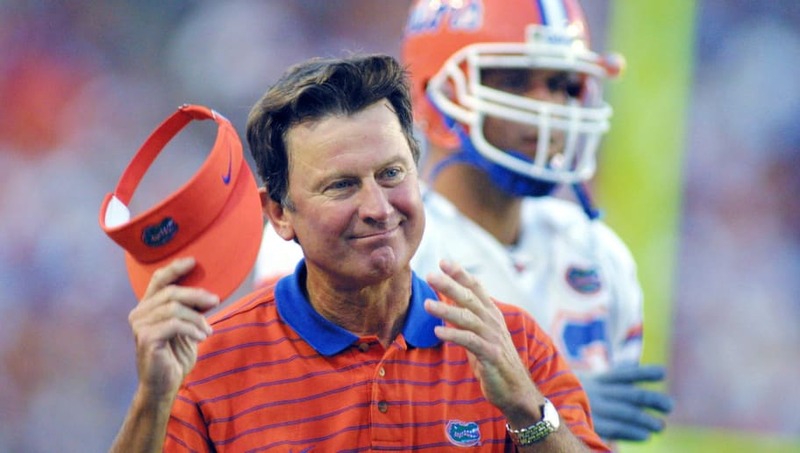 ​​“I never did interview well," Spurrier said. ​He must have made a decent impression the next time he was brought in by a team in need, however, as the Ball Coach took over a listless Duke Blue Devils program in 1987 and put them on the map against all the odds. And he must have learned still-more about interviewing between then and 1990, as his triumphal return to his alma mater ushered in an exciting, captivating era for the Florida Gators that elevated the program to national powerhouse status. Of course, he had to start somewhere. That trademark swagger didn't come out of thin air, after all. "I wasn’t one of those coaches that would convince the athletic directors or the people doing the hiring about how hard I worked and how mean and tough our team’s going to be," he said. "I was just sort of, ‘Hey, here’s my track record. Here’s what we’ve done, what I’ve done as a coach and hopefully that’s good enough.’"
Such an "aww, shucks" guy, eh? Come on, coach. Everyone knows you ain't that humble.